When you were young, what did your parents tell you when you didn’t want to eat all your dinner? Imagine this young man’s surprise to find himself taken to Israel by the IDF for life-saving medical treatment, waking up in a hospital where the signs were in Arabic and the staff spoke his language. 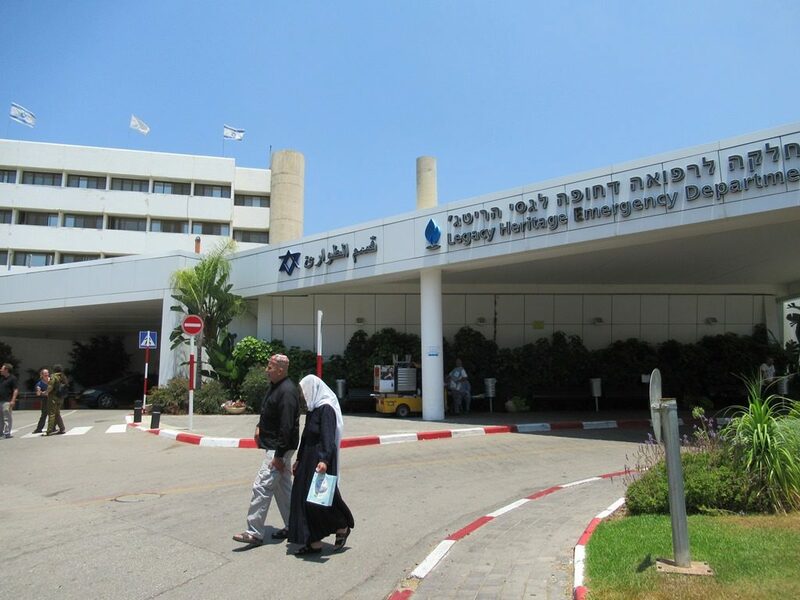 One of the northern Israeli hospitals treating wounded Syrians is the Galilee Medical Center (GMC). 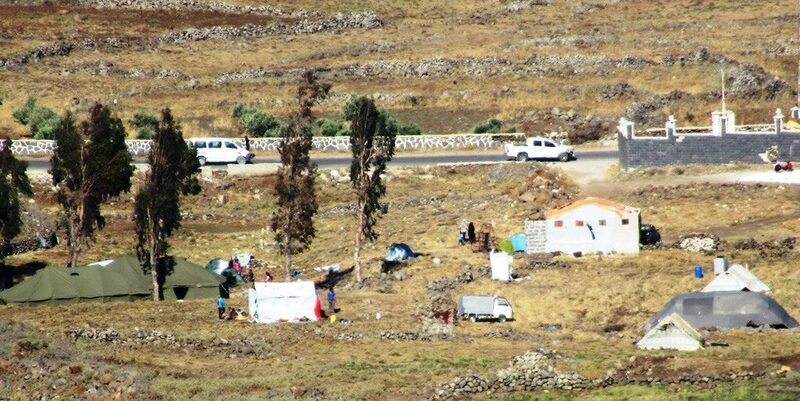 It has taken over 1,500 of the 5-6,000 Syrians that Israel has treated. What began with seven patients on February 16, 2013, has grown over the years. 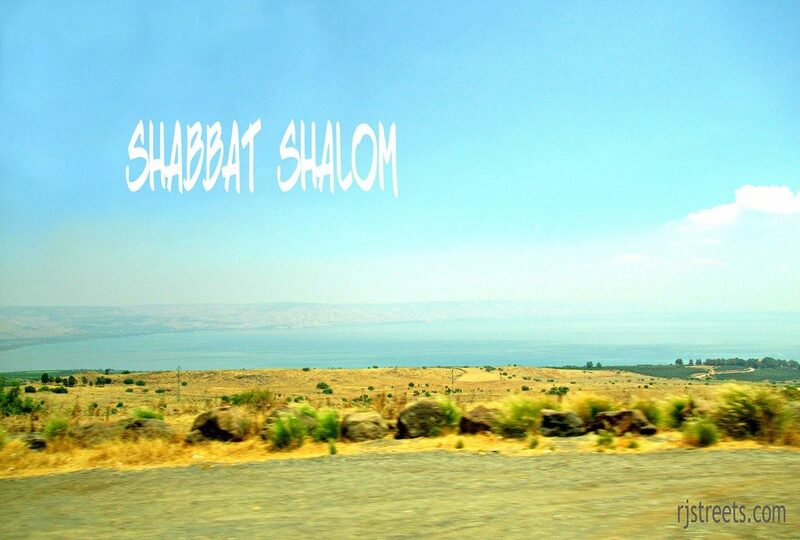 Word slowly traveled back over the border that if you want the best medical treatment, go to Israel. Treating patients from Arab countries, Gaza, or Syria, is not new. 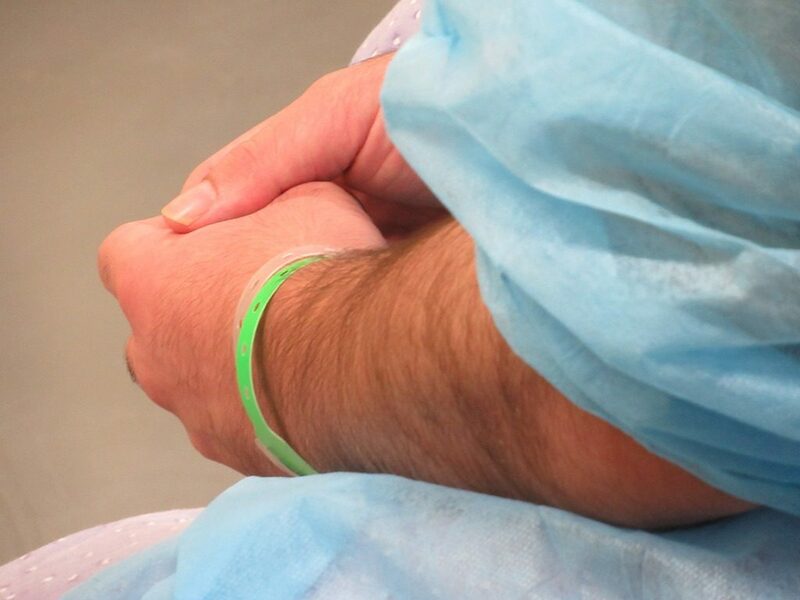 A Syrian father who accompanied a son to Jerusalem for medical treatment, fell ill, and was treated in a hospital in Jerusalem in May of 2014. 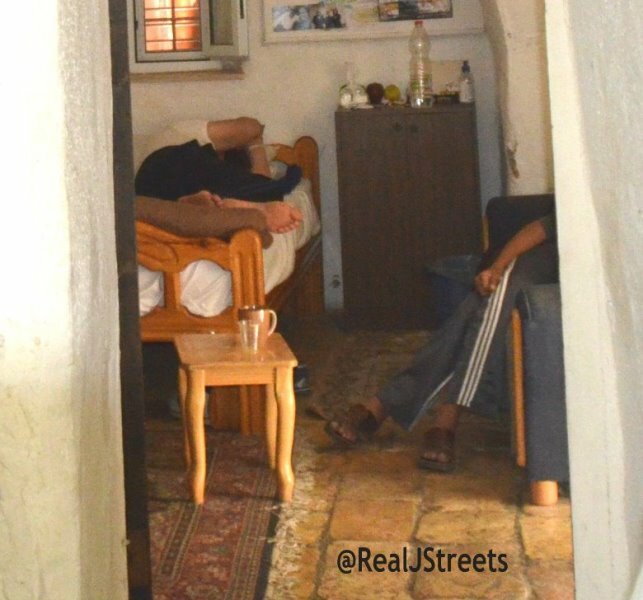 Here he is recuperating on a bed in the center of Jerusalem. Then, as now, for their safety when they return to Syria, no names, no photos of faces are used to identity these patients. 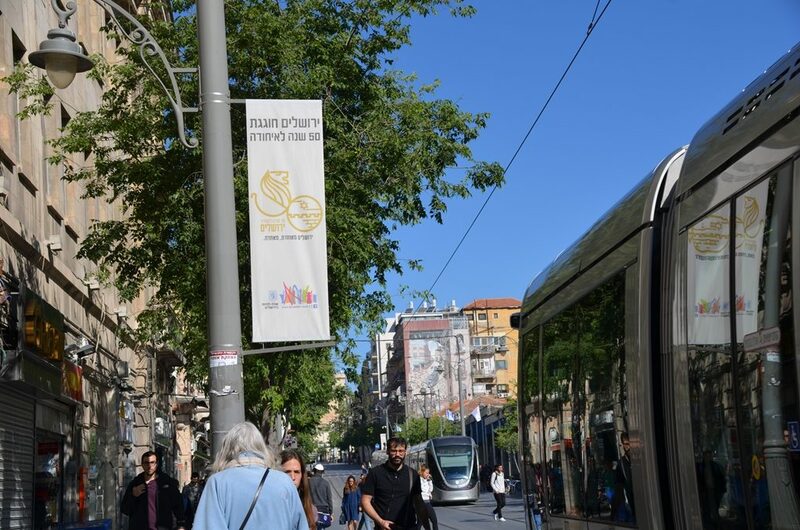 Having received life-saving treatment which is only available in Israel could be a death sentence for those patients when they return to Syria. 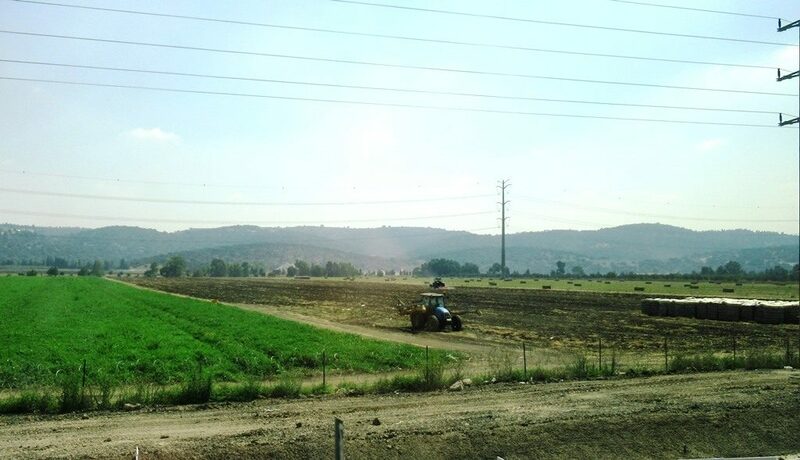 On a trip to the Golan from Jerusalem, Israel, one passes cultivated fields. 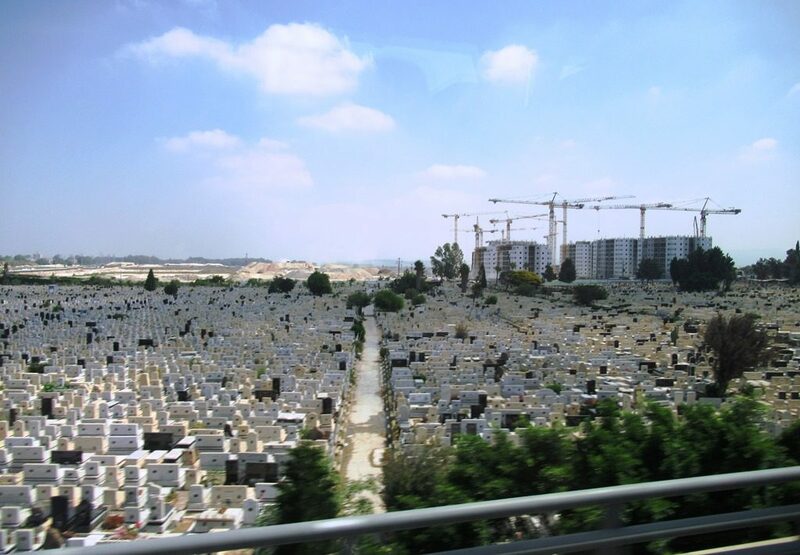 Rising apartment blocks for housing are seen, even on the outskirts of a municipal cemetery. 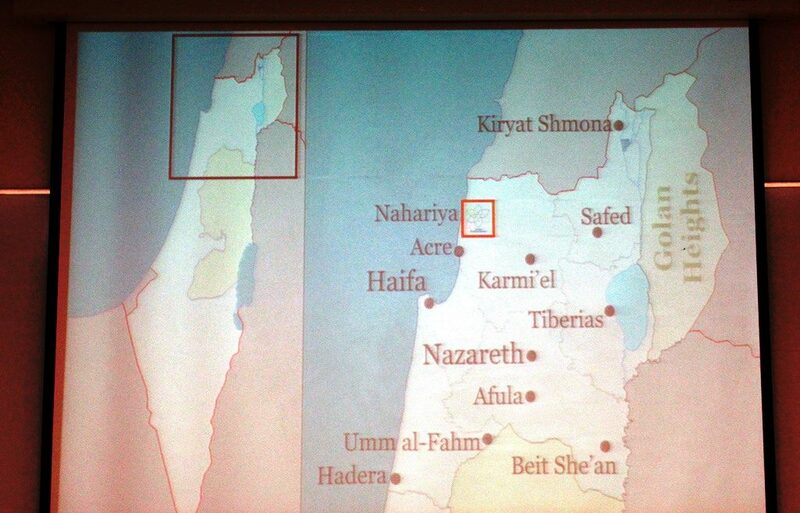 This map of northern Israel shows the Nahariya area where the GMC is located. More than 800 Katyushas were fired here during the Second Lebanon War, one hit and destroyed an entire department on the 4th floor of the hospital. The northern border has been quiet for the last few years of the “Good Neighbor” policy. 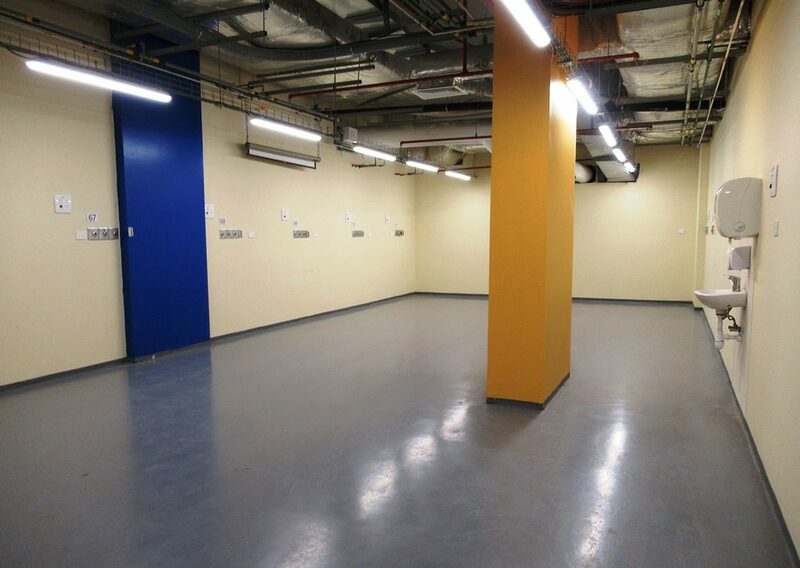 But the GMC Underground Hospital unit is ready if the need arises to evacuate patients again. This Syrian patient, Hani from Ghutta, near Damascus, has been receiving treatment for two years. Currently there are 40 Syrians at GMC and more at other northern Israeli hospitals. 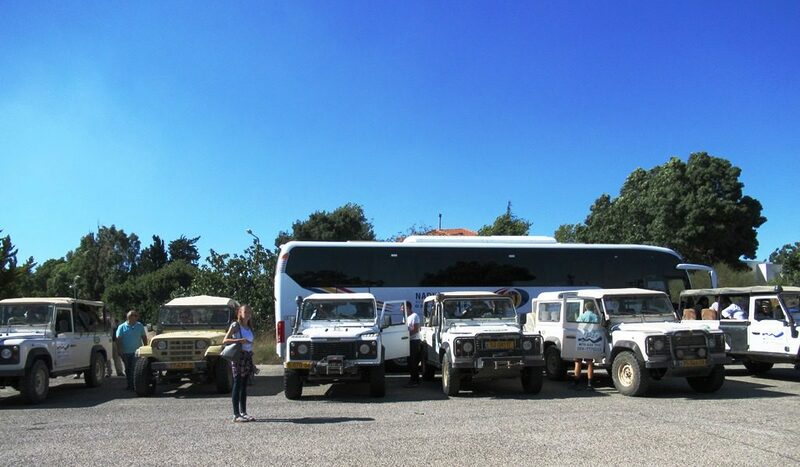 Jeeps are necessary to get to the Golan Heights vantage point, as a bus could not safely navigate the narrow and winding roads up the mountain. 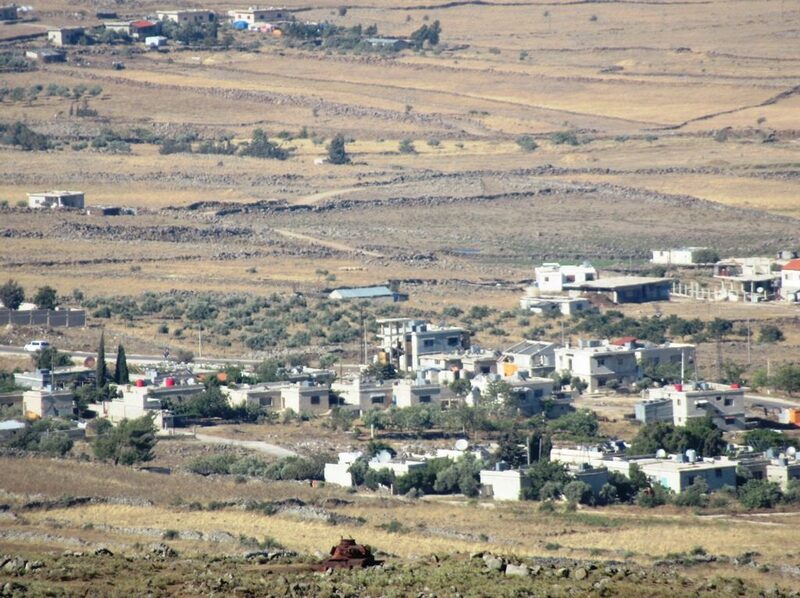 and a close up view of the area in southern Syria, near the Israeli border. 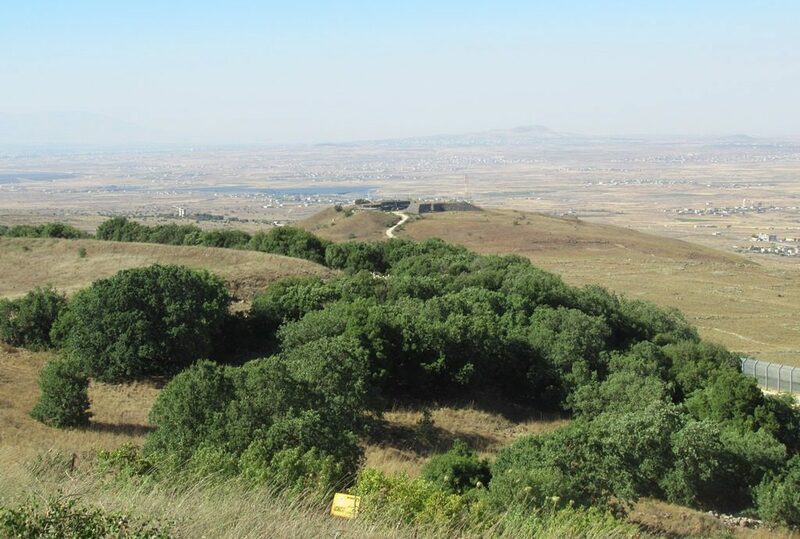 This is the view to the left, and at the bottom of the photo, there is a yellow sign warning of land mines. 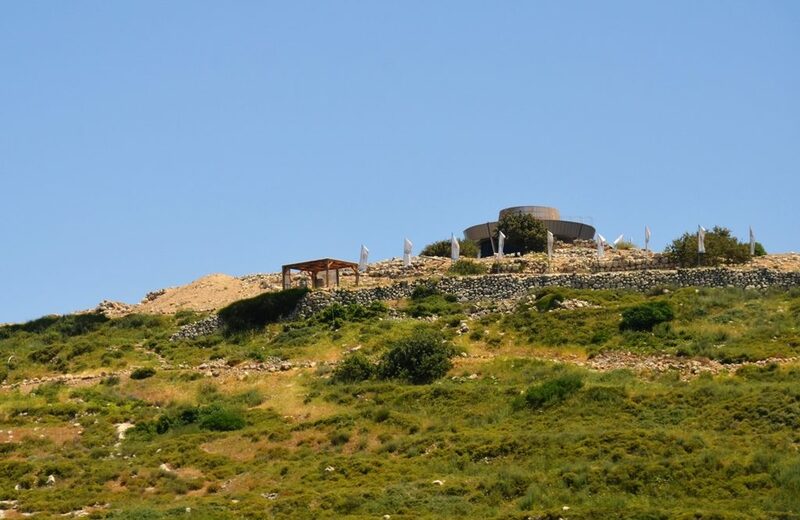 Here is a close up of the top of the hill that appears in the distance in the previous picture. Look to the right, from the observation point and one sees a cluster of trees. 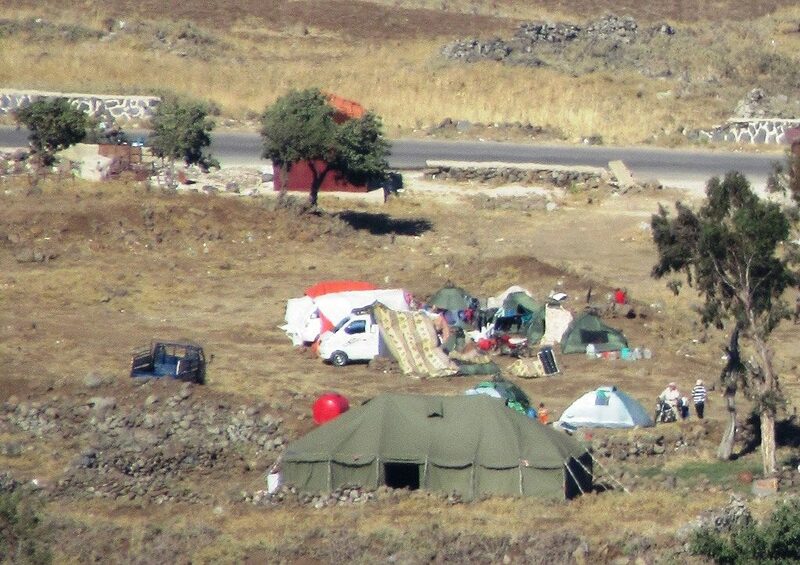 However, in a close up of the area, one sees the tents more clearly. 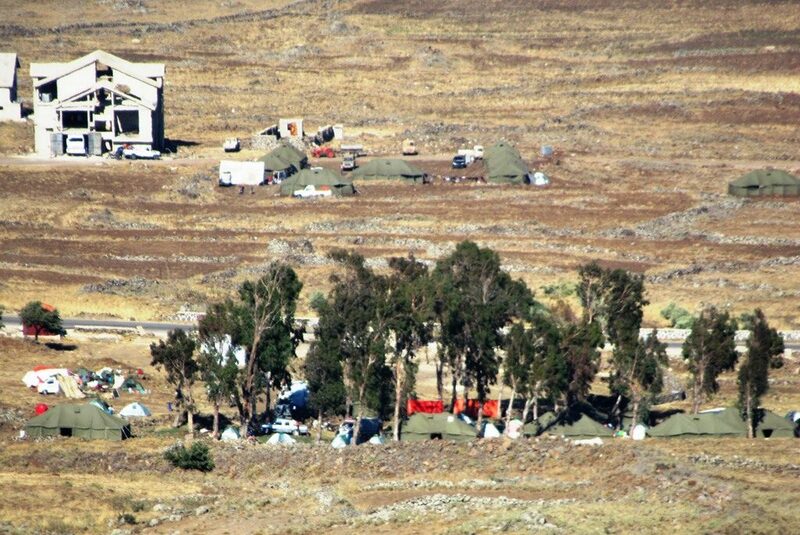 These green IDF tents were supplied to homeless Syrians. 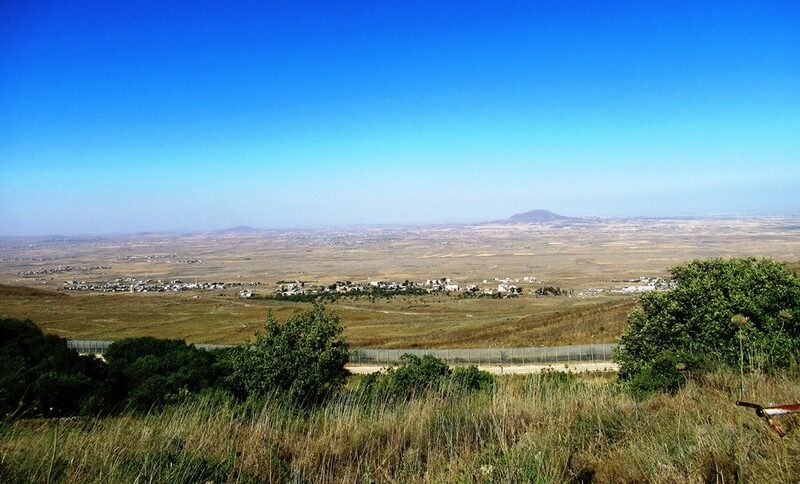 Displaced Syrian refugees have come to the border of Israel for their own safety. Bringing their families and whatever they can schlep, they are getting away from the Russians bombing from above and Assad’s forces, aided by Iran and Hezbollah, shooting to kill on the ground. 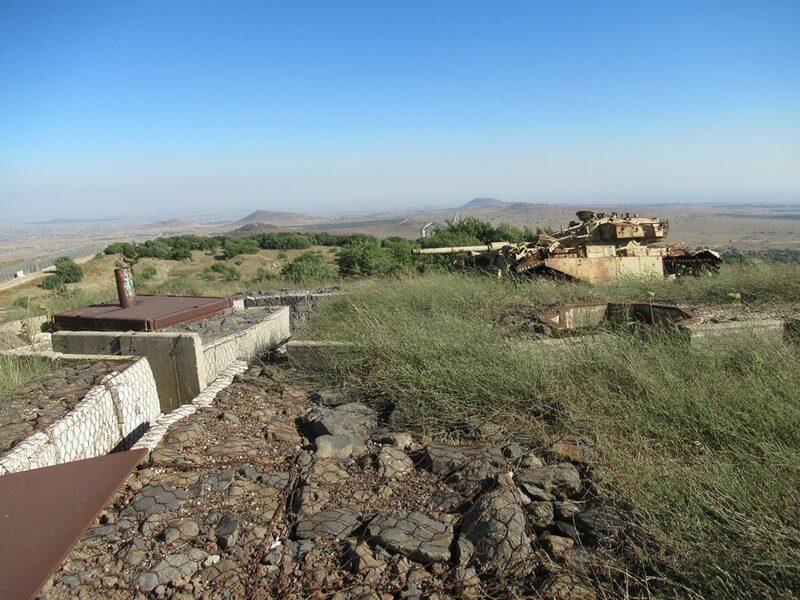 Reminders of the previous Israeli-Syrian wars are still around, as evidenced by the rusty tank in the bottom of this photo. 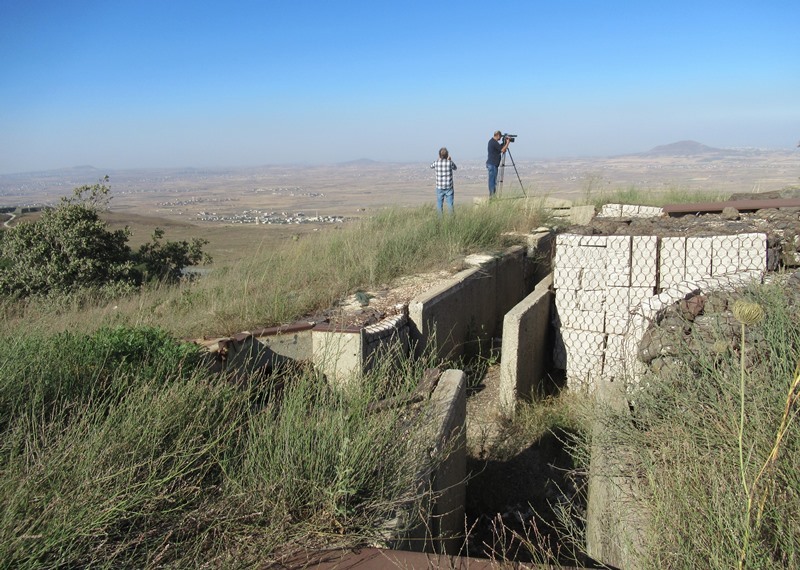 At the observation point on top of Bashan are remains of Syrian bunkers and old army vehicle. 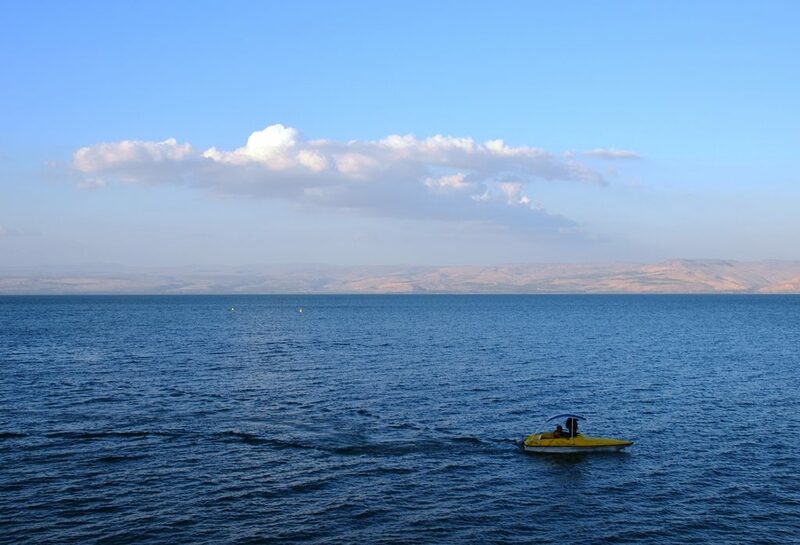 In the past the Syrians were here shooting down at Israelis over the Kinneret, the Sea of Galilee. Lt. 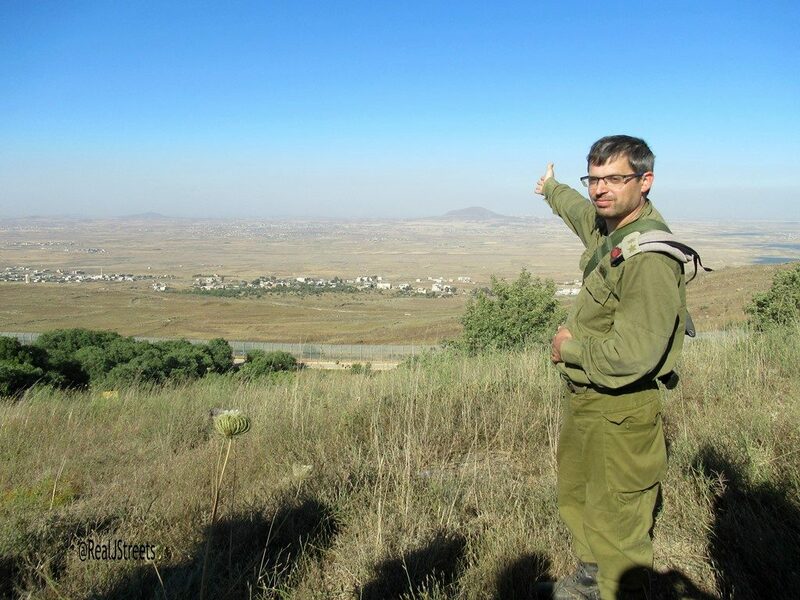 Colonel Dr. Tomer Koller, the medical officer of the Bashan Division in the Golan Heights, showed us the area where tens of thousands of Syrians are encamped. 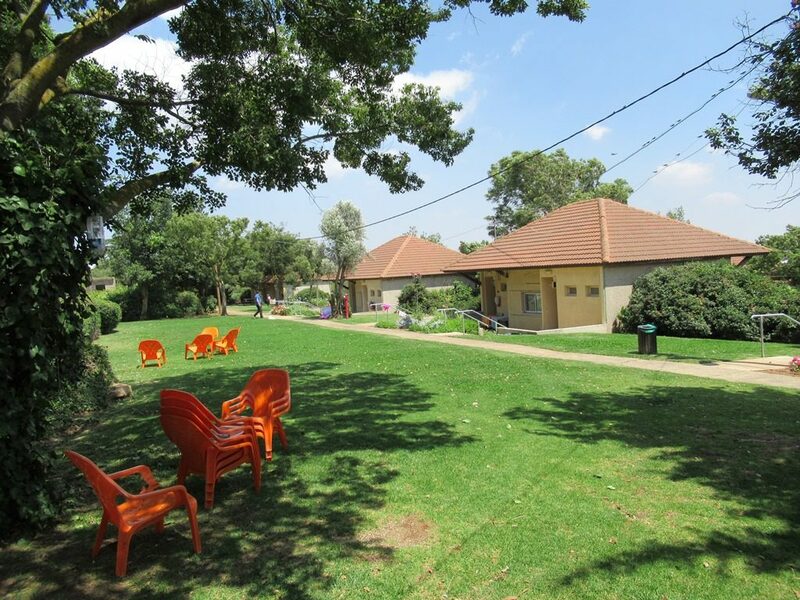 Those in need of medical treatment come there to find assistance. 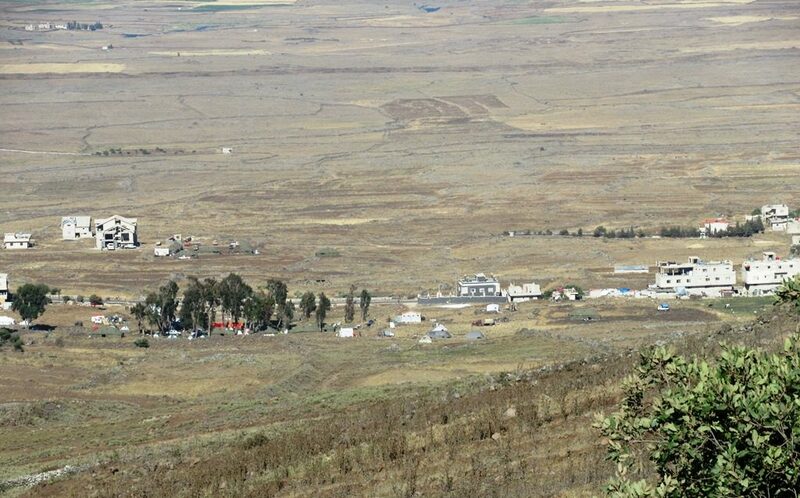 How could anyone think it is a good idea to “give back” the Golan Heights to Syria? 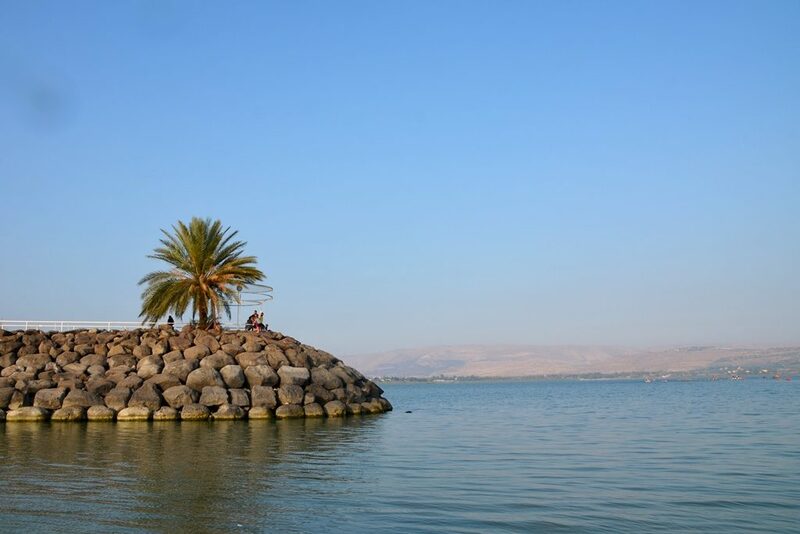 After many years, the Kinneret is again under threat from the intensified Syrian civil war. The IDF Good Neighbor Operation has been helping. 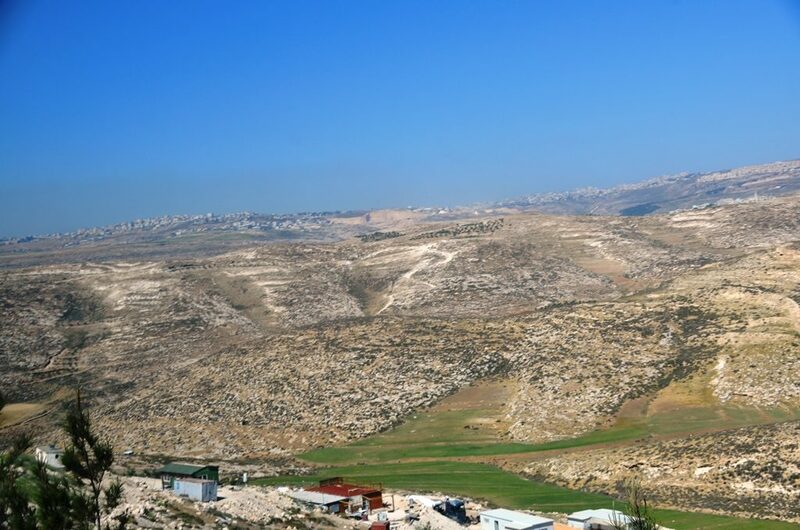 Israeli residents in the north have gathered aid to send. Mendi Safadi of the Safadi Center is working to open schools for the children displaced in Syria. Frontier Alliance International (FAI) is working with IDF to get international doctors into Syria to help with the medical crisis. Arab countries have shut their borders to Syria. Where have the UN, EU, and human rights organizations been all these years? 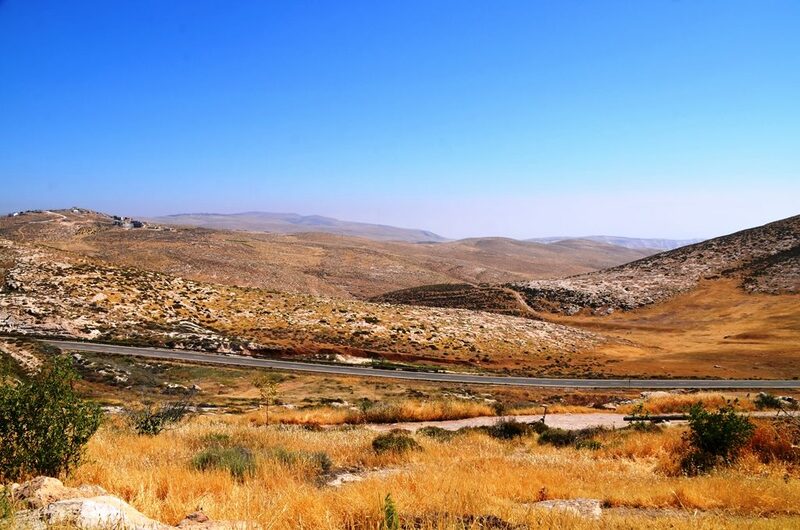 Because of the growing humanitarian crisis, fleeing Syrians are flocking to the Israeli border. 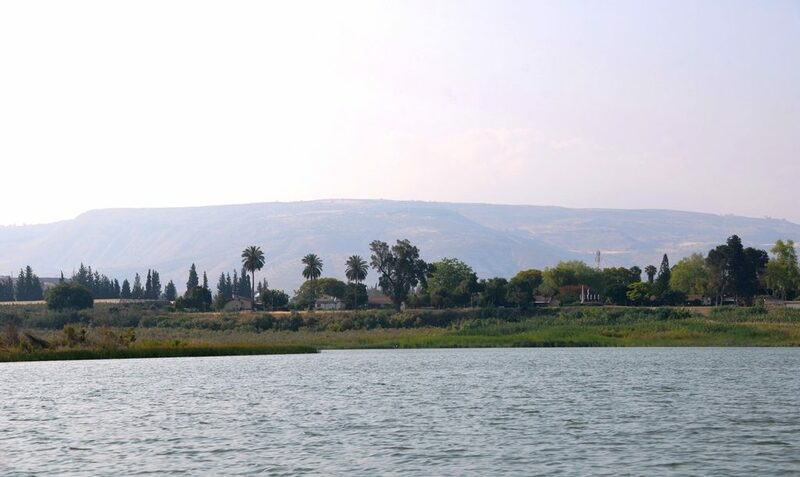 The view winding up the mountains overlooking the Kinneret, Sea of Galilee, is always impressive. 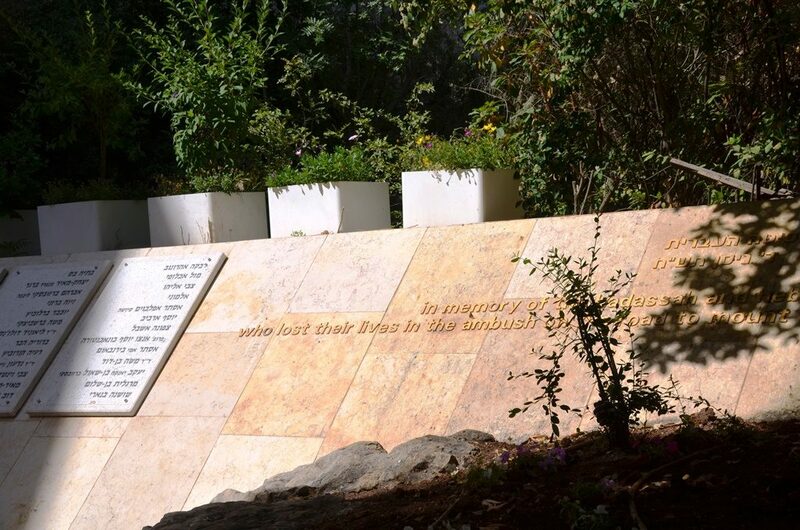 the mantra of the Jewish people. 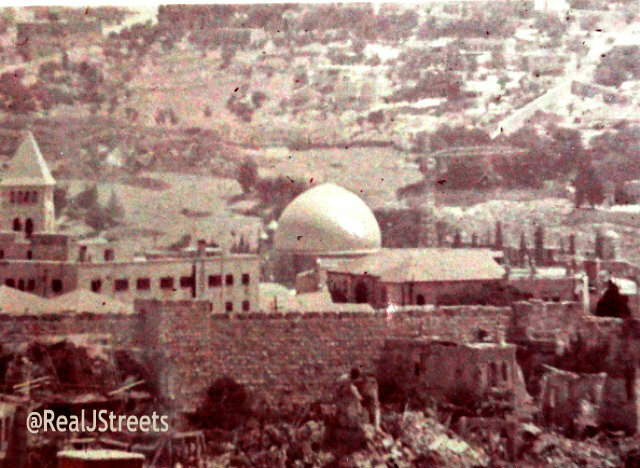 the destruction of Jerusalem was remembered. was only for the imagination or in a dream. was as close as a Jew could get. and the resulting victory are taken for granted. against giant Arab armies attacking on all sides is lost. 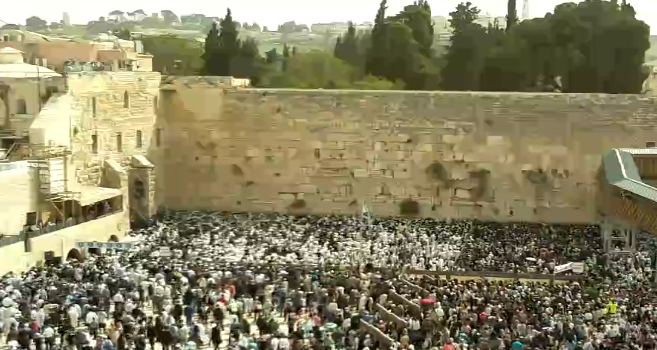 for today tens of thousands can reach the Kotel Plaza to pray. 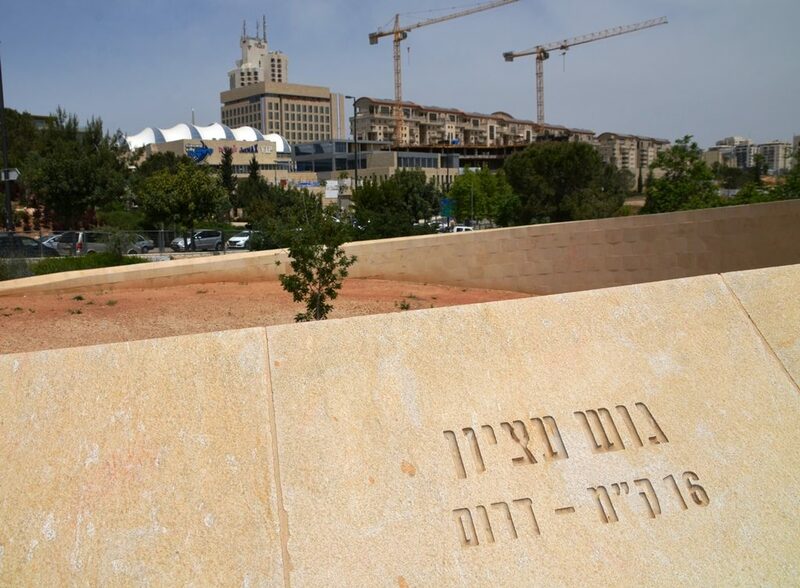 a distance 16 kilometers south of the Knesset. 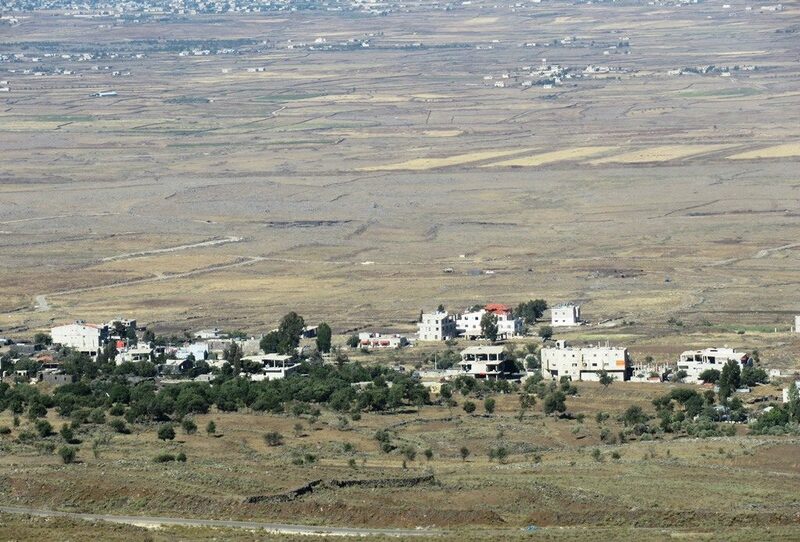 had Syrians in those Golan Heights towering above. and 73 people were murdered in April 1948.
from Mayor Teddy Kollek, in June of 1967.
before the time of King David and the Temple in Jerusalem. 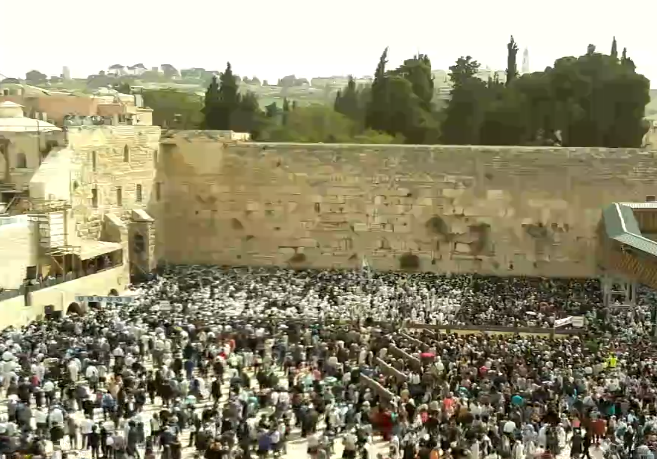 This is a wondrous time to be in Jerusalem, Israel. are vanishing memories, as the light rail trains run by. but I would not want to go back to 51 years ago.